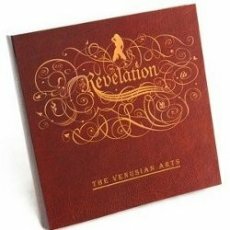 Review for Revelation, Mystery's most complete work. Revelation is excellent. Mystery is...a troubled soul. The technical lack of empathy (humanity) is his work needs to be edited out like David D's bluff. It overwhelms and blocks out some of his key points on what he is trying to convey to the student. Can be overwhelming. It will take a personality change to work all of this in. It would be easier to follow with real world terms. This is not a ligth read, but is comprehensive. Hopefully, it will be rewritten and edited down without pictures and easier to understand graphs as well. Bottomline - there is much to be learned here for anyone. Therefore, I would recommend it to everyone. I will reread and update this product review again. If there is one dating product to not pass up - it's this one.